When I was an analyst with IDC, a very long time ago, I sat in on lots of vendor presentations on their products and strategy. Too many of them started off with a slide that identified precisely where the presenter and his group fit in the organization. It usually included a detailed topography, indicating the various direct and dotted-line reporting relationships within the department, within the division, within the group and eventually within the overall company. Managers reported to directors, reported to department vice-presidents, reported to division vice presidents, reported to group vice-presidents, ad infinitum. The slide (actually an overhead foil) accompanying this discussion of "where we fit in the organization" usually depicted a complex "box and lines" organization chart. But for all its vastness and complexity, a 3-D model of the entire solar system situated within the Milky Way galaxy would have been more appropriate. Having been exposed to this mind-numbing ritual so early in my career, you might understand why I'm afflicted with a bad case of MEGO ("my eyes glaze over") when it comes to corporate titles and organizational structure. But my interest in corporate titles was piqued recently. Moderating a panel of cloud and software-as-a-service (SaaS) industry CEOs at the AlwaysOn Summit at Stanford, the moderator, Jeff Kaplan of THINKstrategies, asked the participants to discuss cultural and organizational issues particular to SaaS. Swayne Hill of Cloud9 Analytics talked about the need to build a culture and organization that delivers a positive customer experience every single day. In line with that goal, he explained that, even before he hired a VP of Sales or a VP of Marketing, he brought on a "vice president of Customer Experience." Given that for most SaaS companies, customer satisfaction and retention is vital to success, putting an executive in charge of delivering a high quality customer experience makes perfect sense. The "Vice President of Customer Support" could be more aptly titled the "VP of Customer Retention." An important part of the job, after all, is about keeping customers satisfied so that they renew at the end of their subscription term. 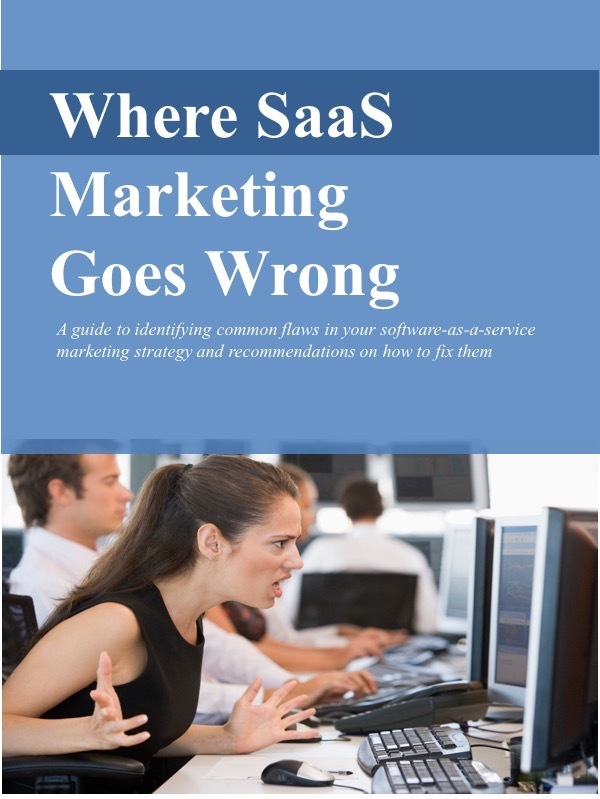 Most SaaS companies that can't renew a high percentage of their customers can't succeed. The traditional "Vice President of Marketing" role might be better re-labeled as the "VP of Trust." In a SaaS company, the job of marketing is essentially to build visibility and credibility among prospective customers in order to attract their interest and win their trust. The "Vice President of Product Development" role could be re-labeled as the "VP of User Experience." SaaS customers aren't buying just product features. They're signing up for the entire experience and they expect satisfaction throughout the entire life-cycle from purchase through deployment, configuration, use, and renewal. The "Vice President for Legal Affairs" or "Chief Counsel" might be better called the "VP for Expeditious Purchase." A good part of their role when it comes to contracts is keeping the purchase process simple and consistent. The "Vice President for Sales" is really more like the "VP of Care & Feeding." Because SaaS companies need to be especially frugal with their spending on customer acquisition, successful selling means carefully and cost-effectively cultivating and nurturing prospects through the sales pipeline. Maintaining an army of sales reps and sales support engineers is an expense that many SaaS companies cannot afford. In the SaaS model, not only should certain titles change as job functions change, but some departments might best be merged into others or eliminated entirely. This whole issue of org charts is getting a whole lot more interesting.